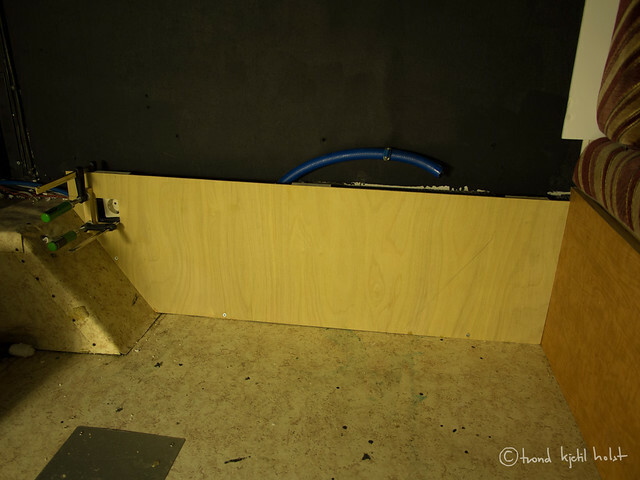 Tonight I have made some panels and fitted them to the bottom parts of the walls. This one hides the electrical system, but the fuse box is still available. This is the aft panel, from the wheel well and behind. 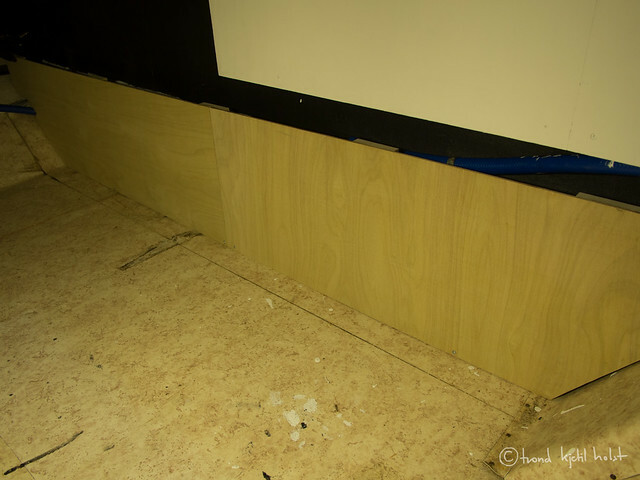 The panels will be topped with plywood, so they will totally close in the (unuseable) radiators and all wires and tubes. The last panel I mounted. 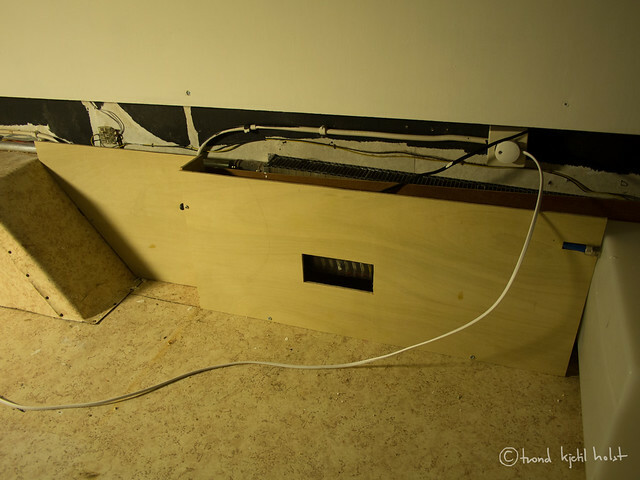 Here I had to make a hole to access the 220V outlet behind it. The panels will be painted black, as everything else inside the cameravan.